Real estate has been at the forefront of the practice of DuBois & DuBois, P.C. From single-family homes to residential housing developments, industrial facilities, office buildings and condominiums, the firm has been involved in virtually every type of real estate project in Middle Tennessee. Our client base includes buyers and sellers, borrowers and lenders, developers and planners, and landlords and tenants. Our real estate clients include local and regional concerns who are continually involved in major real estate activities in southern Middle Tennessee and elsewhere. Since its inception, the firm has been actively involved in the development and implementation of financing techniques for real estate projects, ranging from the simple mortgage to complex commercial transactions. The firm has been especially active in its representation of banks and other institutional real estate lenders. 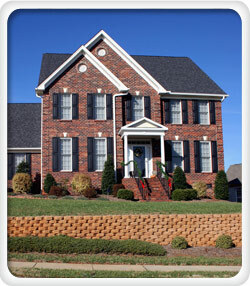 Our attorneys are active in the real estate field and have a working knowledge of the law in this area. With this wealth of experience, we are able to serve clients efficiently in both local and regional transactions.